We are in full anticipation of spring! Although, the calendar says it's here it still doesn't feel like it in our neck of the woods but we are moving in the right direction. 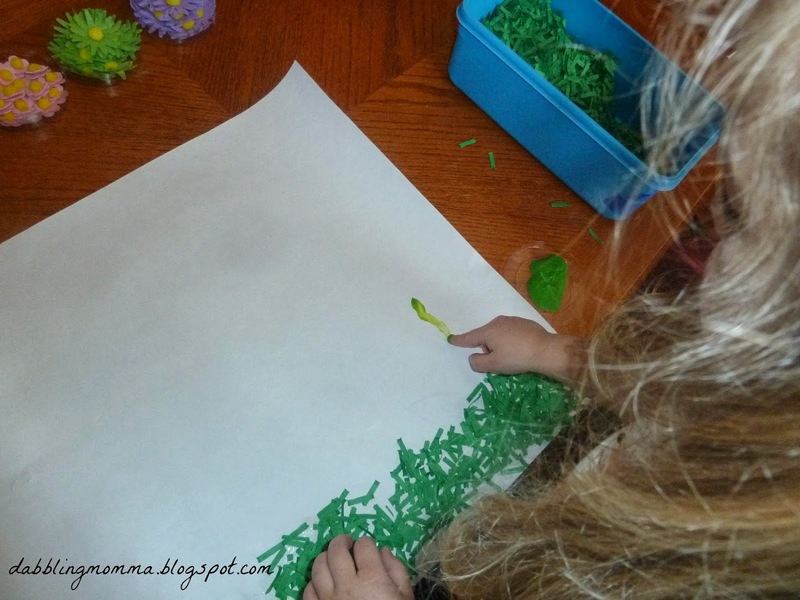 Making spring crafts and doing activities with a spring theme helps while we wait for the nicer weather. I wanted to try and do a craft with more of a 3 dimensional appearance and this is what we came up with! 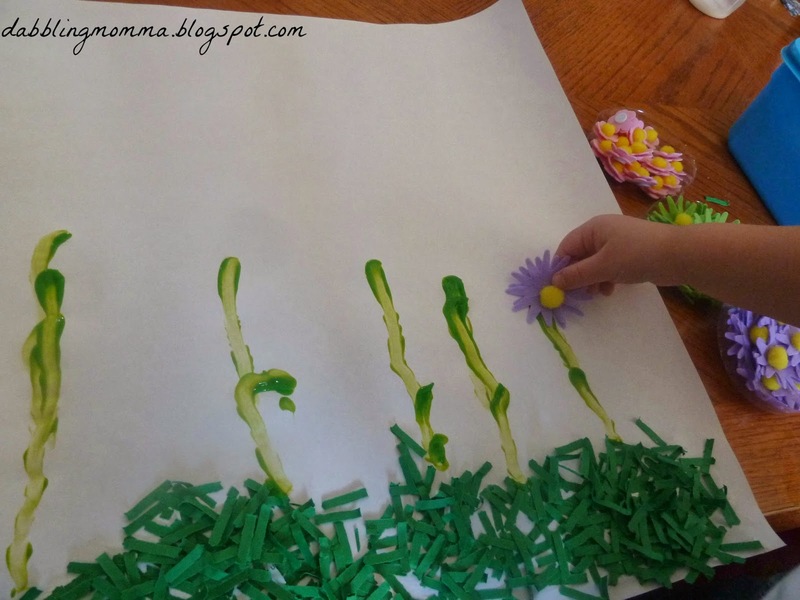 We used finger paint for the flower stems. Tiffany can be finicky with touching certain things but finger paint she has zero problem with. 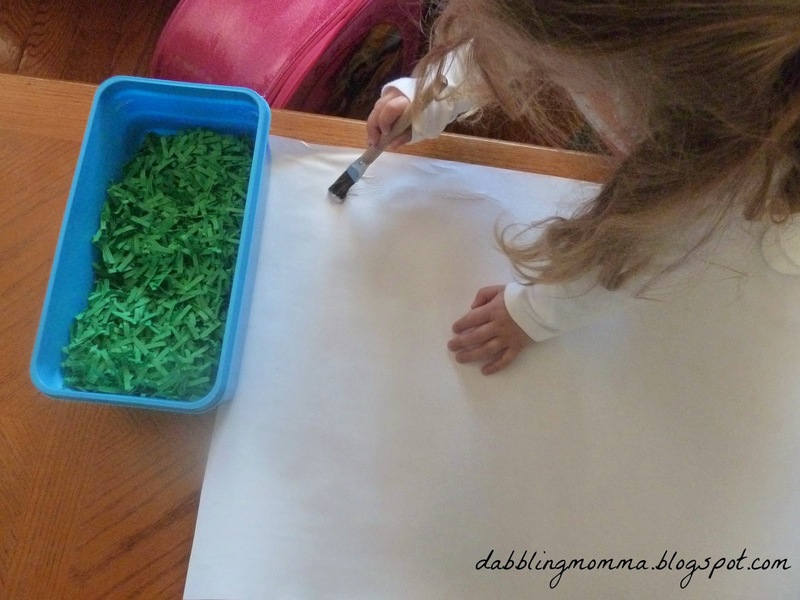 Just say the words finger paint and her little fingers are wiggling and ready to go!! Finishing up the flowers by adding these pretty flower stickers. 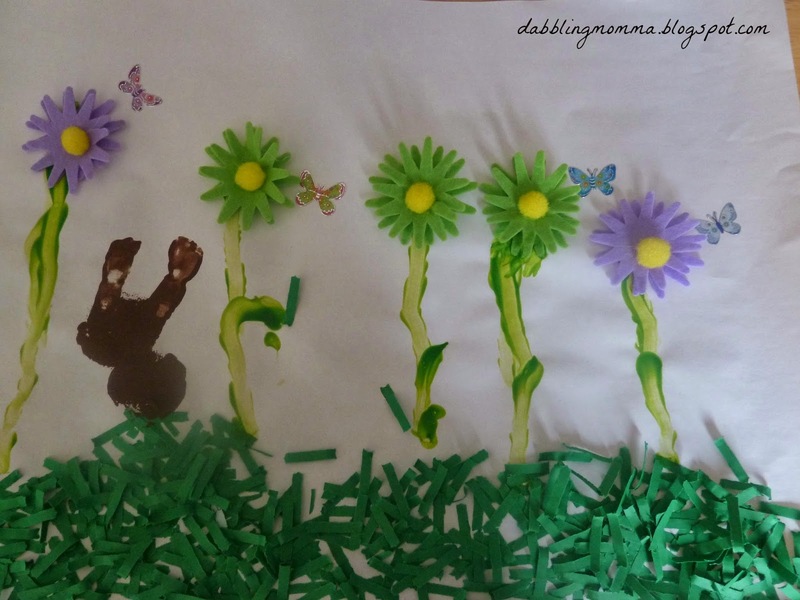 My favorite part were the bunnies we added. 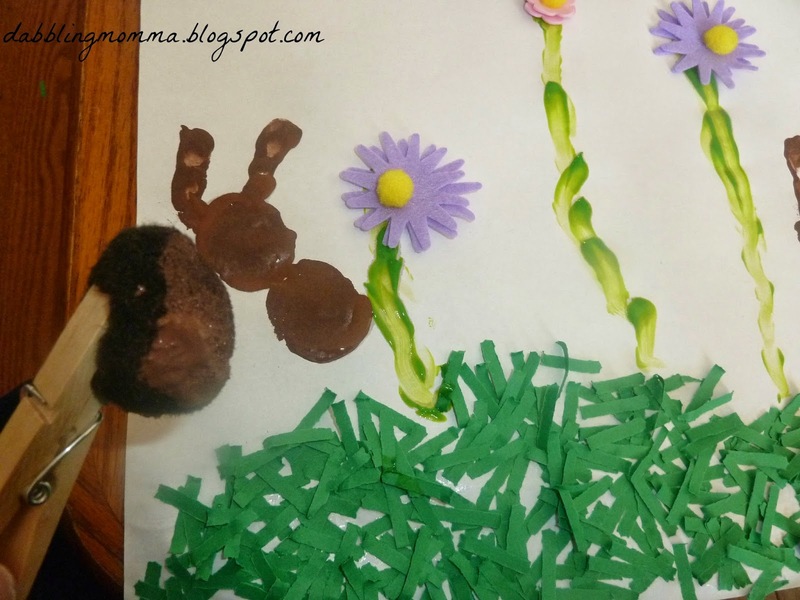 I painted Tiffany's fingers to make the bunny ears and for the bunnies head and body we used a large pom pom. The last part was adding some butterfly stickers. 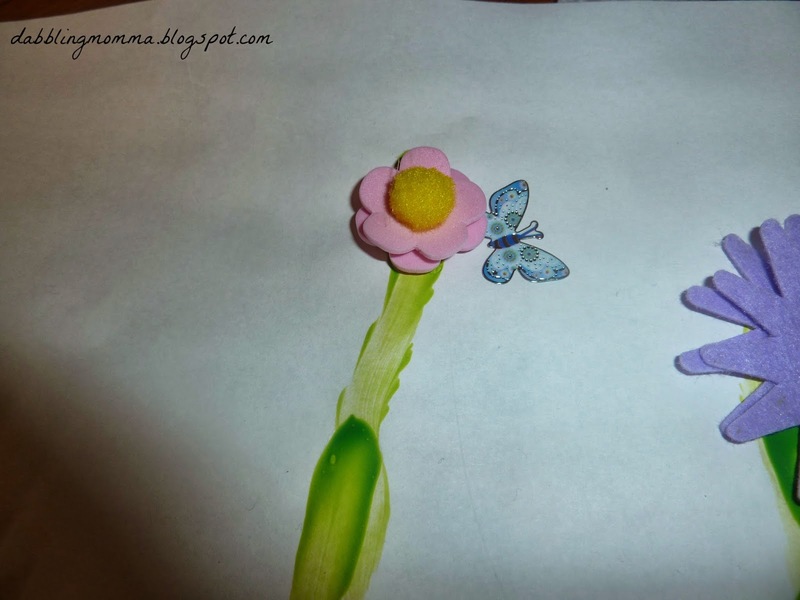 Tiffany adores using stickers so I try to use them in crafts/activities whenever possible. 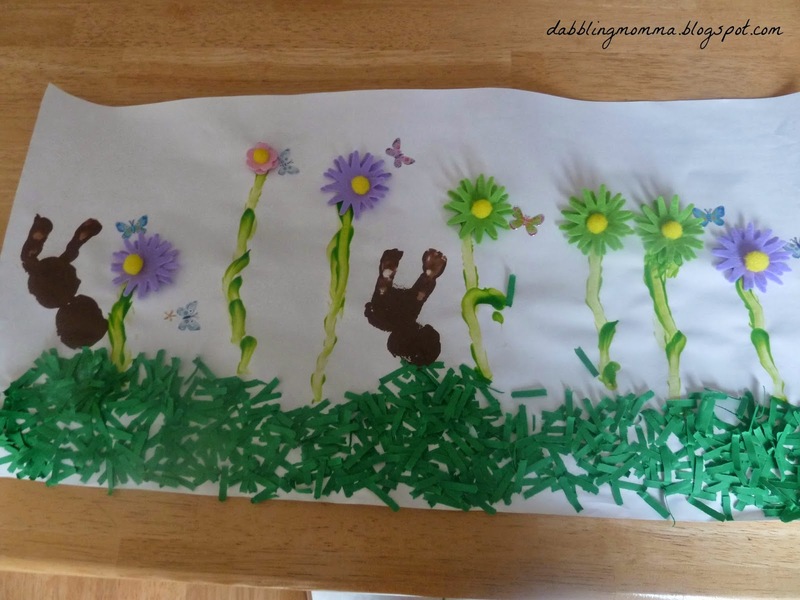 Here is our finished 3D spring craft! I currently have it on our fireplace mantle but would like to find an appropriate frame and find a permanent home for it! Very cute! I love how the flowers are 3D! Very cute art! I love that bunny's ears are finger prints! I know I do too, Annie! 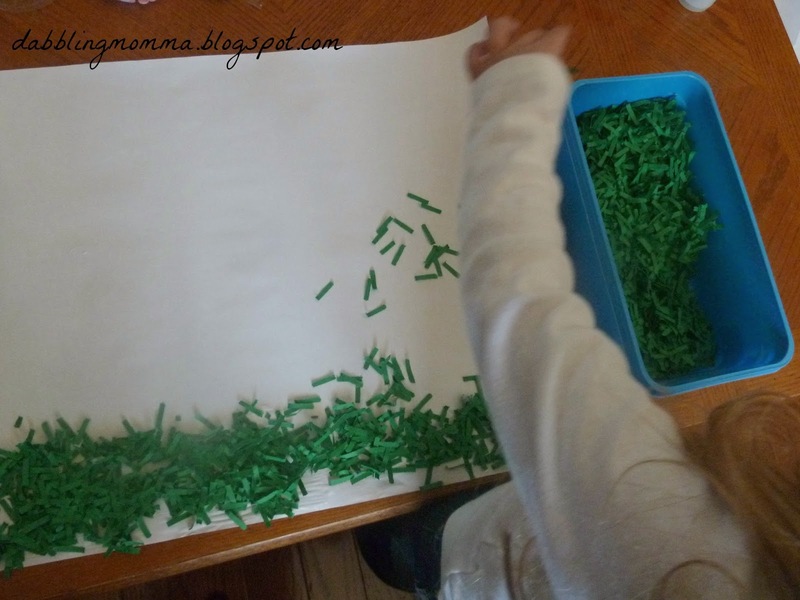 Artwork is even better when you can use a hand or fingers or feet, lol! neat! My daughter would LOVE this! Thank you Monica!! Your link party is very cool and I'm glad you liked our 3D Sprint Art! !